Bruce Springsteen released a couple pro-shot live performance videos on his YouTube channel today. Check out a fantastic 16 minute version of "Kitty's Back" performed at the Perth Arena on February 5th, 2014. The song was originally released on Springsteen's '73 album The Wild, the Innocent & the E Street Shuffle before The E Street Band even had a name. As Springsteen says during an extended chorus toward the end of the song, "that's old school Jersey style, c'mon!" before Jake Clemons blows the old school rock and roll sax lines that his late uncle Clarence used to warm hearts for decades. This is the soulful church of rock that die-hard Springsteen lovers can't get enough of. This extended version of "Kitty's Back" is a real journey. There are some cool lead passages by Springsteen on his gorgeous butterscotch fender guitar, as well as the piano and organ players. Springsteen brings things way down, with the help of the extraordinary drummer Max Weinberg. About halfway through the performance, Springsteen teases Roy Orbison's "Oh, Pretty Woman" with a "Here She Comes" section that builds steam until things boil over back into the chorus. 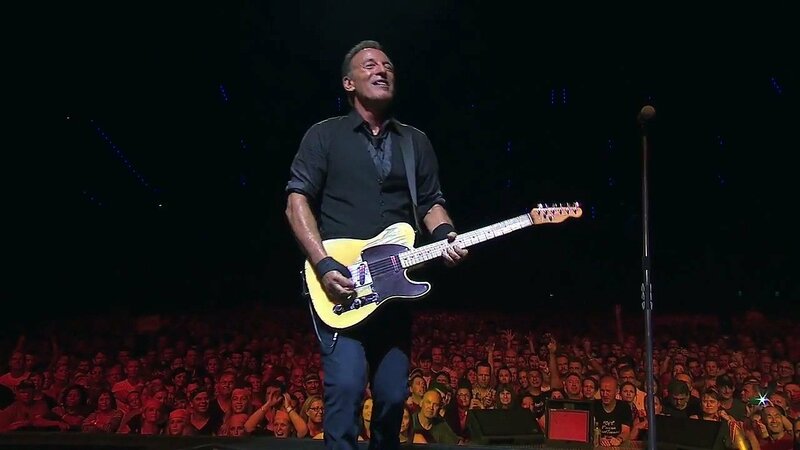 Tom Morello can be seen looking over, admiring The Boss as he guides the music forward. The video also show fans who made a sign specially requesting "Kitty's Back" with a picture of a cat's rear end. The Australian fans look absolutely ecstatic at the epic performance of the now 40+ year old tune. For Bruce Springsteen's latest music, news, and tour dates, check out his Zumic artist page.